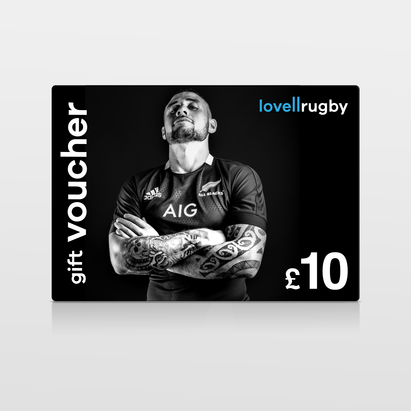 If you're not sure what to get a passionate rugby fan in your life, then why not treat them to a Lovell Rugby virtual gift voucher? With online gift cards in GBP from £10 to £100, they make the perfect present, allowing the recipient to choose from our huge range of rugby boots, shirts, clothing and equipment. Make a rugby fan happy with an online gift voucher from Lovell Rugby.